There is something about LOCZI Design’s work that has that “wow factor”. 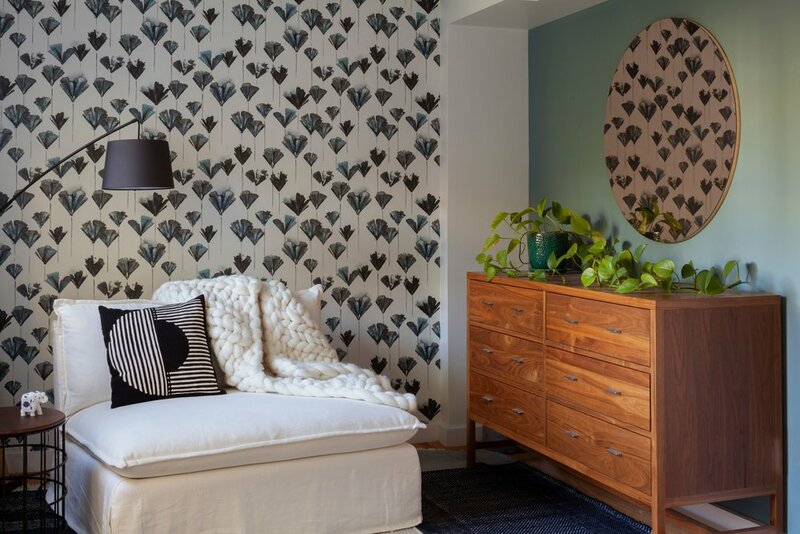 I’ve admired their use of pattern and daring use of bold accents for a while…and was honored when they chose to include two of my wallpapers in a recent San Francisco project. This project was featured in the March issue of PUNCH Monthly Magazine, and I am thrilled to share it with all of you here on the journal! Read on as Paige Loczi, principal of LOCZI Design, shares insight into the design process behind this stunning space. Kate Miller: What was your vision for this space? 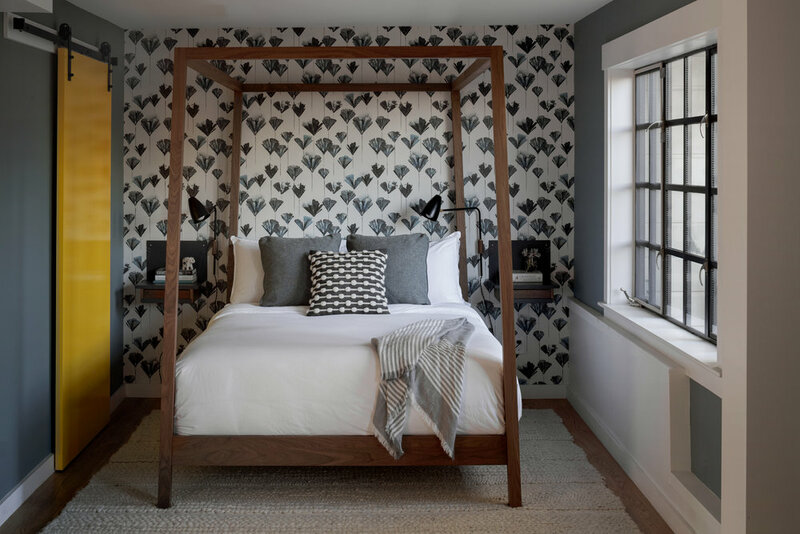 Paige Loczi: The clients are not fussy people, but they wanted something unique that looked rather effortless but tailored, clean and well-made. We tried to ensure that everything we suggested fit their lifestyle and personalities: adventurous/outdoors, pragmatic, approachable, and quality. The biggest compliment is that while they both said that they never would have envisioned the home they have now, it fits them perfectly and feels as though they could have designed it themselves. KM: What drew you/your client to our wallpaper designs for this project? PL: Your designs are refined and modern. The colors fit perfectly with our color story and the patterns allowed for dynamics in a small space without being overwhelming. They added just the right amount of interest and delight! KM: Was sustainability and using eco-friendly materials a factor in this project? PL: Yes, local, sustainable, well-made materials and elements are principles we always strive for. 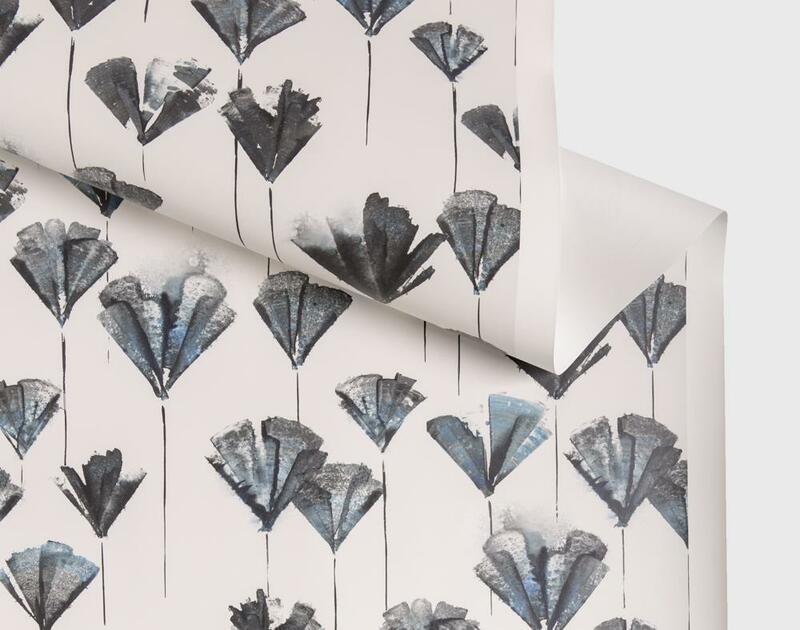 KM: What effect does the wallpaper have in the finished space? PL: The papers add the perfect finishing touches; the other elements coalesce around your designs, elevating the entire space. Thank you Paige and great work team LOCZI! You can check out rest of LOCZI Designs’ stunning work here. Botanica Wallpaper here, Miramar wallpaper here.